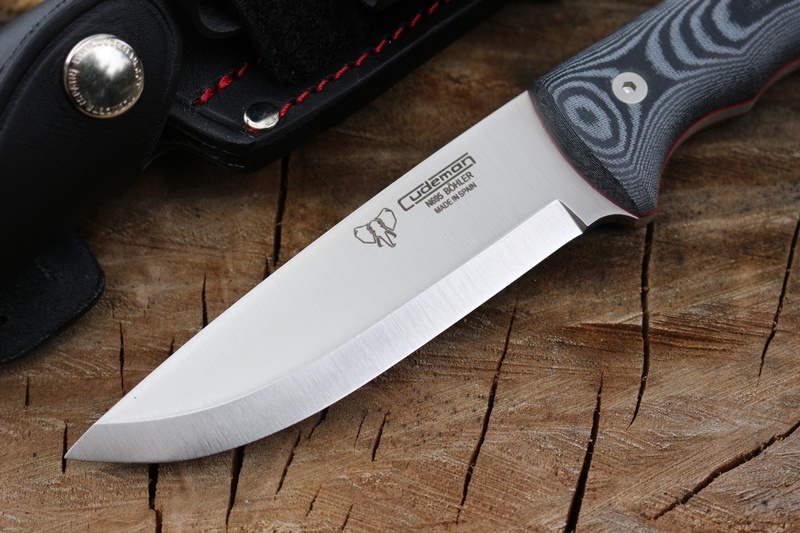 New from Cudeman Knives of Spain, this is the 148 Scandi ground Buscraft Knife. Very well made and well thought out knife, with a classic drop point blade, zero scandi ground and square spine. 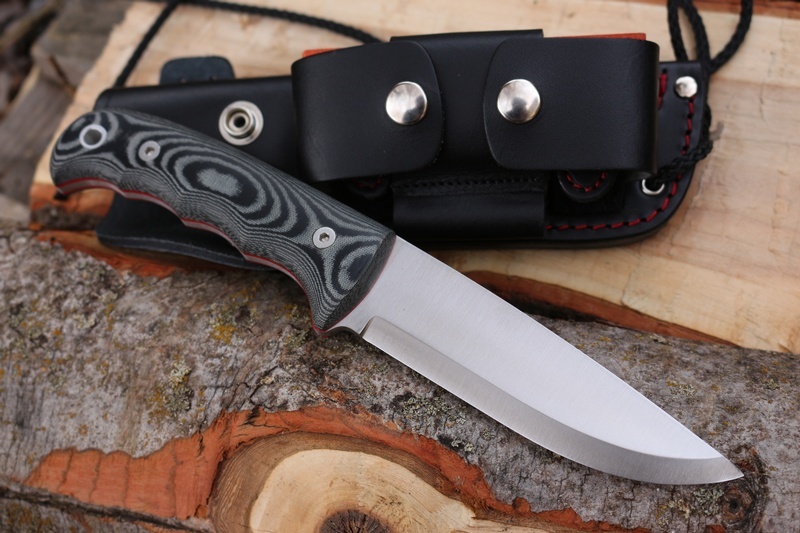 The 4mm full broad tang knife is strong and robustly made, with Black Canvas Micarta slabs (Red liners), solid stainless allen head screws and stainless lanyard hole. 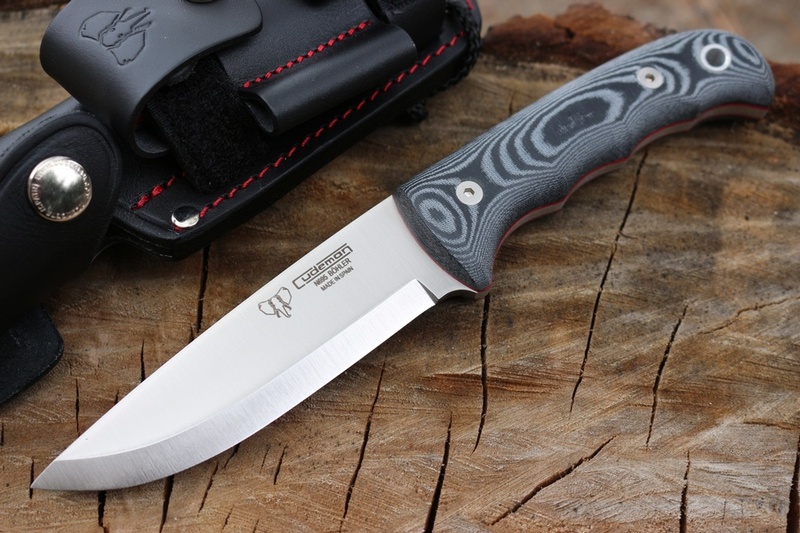 Its a great blade length for control being 4 1/4in and the Bohler N695 steel provides excellent toughness and good edge holding (59HRC). 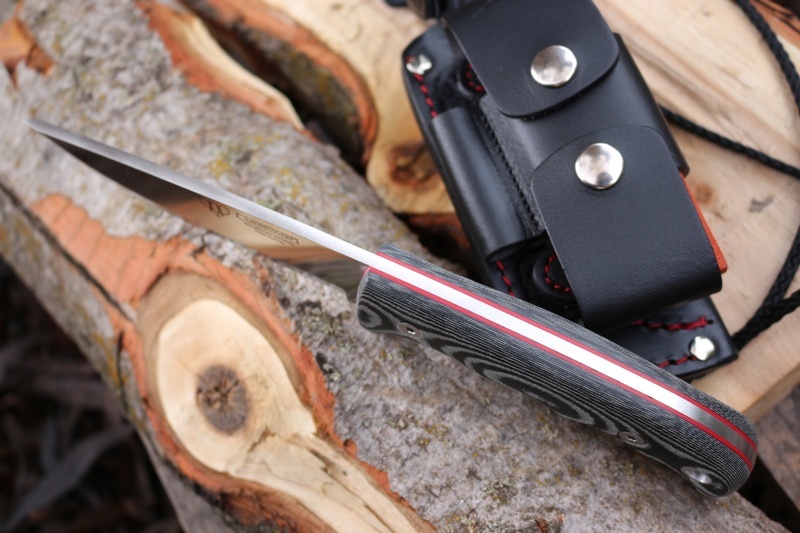 Comes with an excellent sheath, Black leather with red stitch, and a pouch that allows for both firesteel and sharpening stone (stone is included) carry. 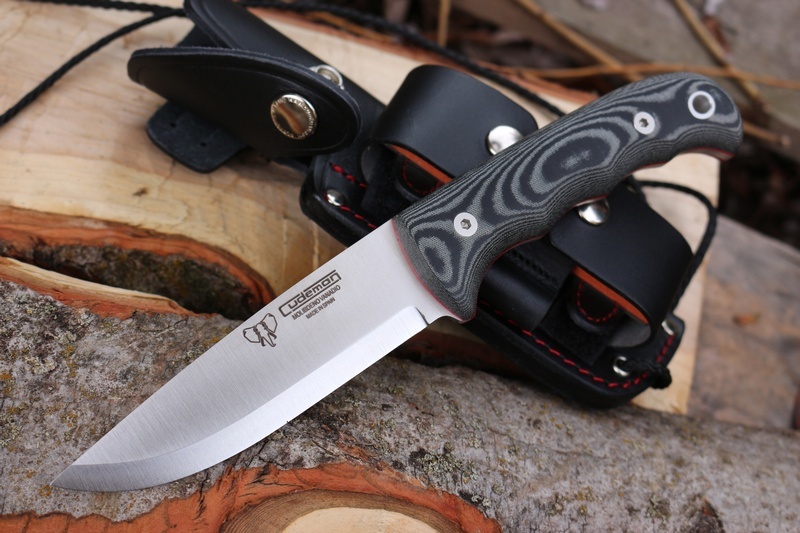 Quality outdoor, Bushcraft and survival knife. Purchase through PayPal by using the "Add To Cart" button above or use the form below to order the Cudeman Scandi 148 Kit N695 . Feel free to contact us if you have any questions about the Cudeman Scandi 148 Kit N695 .